CAREWARE-ERP: ERP Survey for Malaysia - Small Medium Industry. ERP Survey for Malaysia - Small Medium Industry. In 2016 a survey was done among Small Medium Manufacturers in Malaysia on what are the obstacles that hinder SMI to adopt ERP software and what are the requirements they are looking for. The feed backs weren’t surprising. Among what users want, according to the survey, are more flexible and accessible ERP that will enable company executives to access information via tablets and smartphones. 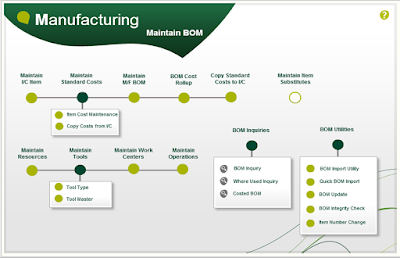 They want an ERP to have a built-in manufacturing solution & fully integrated. They want the manufacturing system to be easy to use. Assuming that cost & support issues can be mitigated by the affordable Sage 300 Manufacturing Systems and vendor domain experience, staff turnover is a serious concern for manufacturing industries. And many companies do not have a formalized and documented policy and process guide. Sage 300 ERP has a new feature that helps reduce time navigating business processes by providing a graphical process-oriented interface that illustrates the steps and tools required to complete a task. Pre-defined process flows can be used, or you can easily create custom process flows specific to your business. 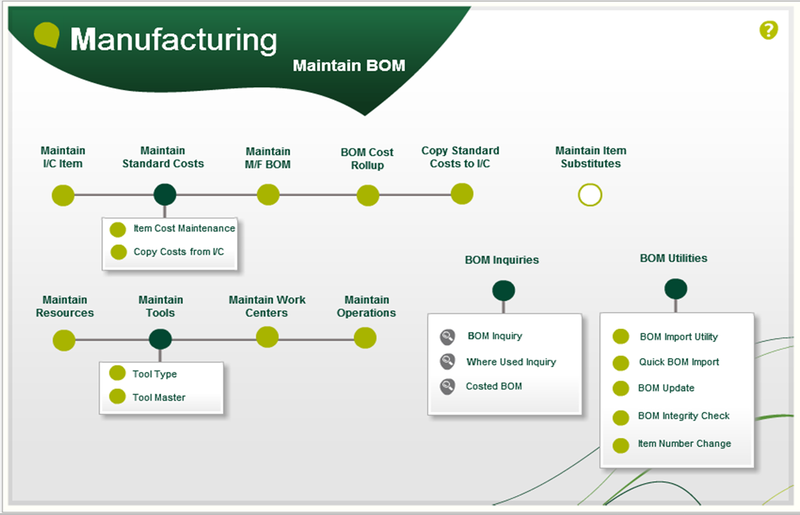 These process flows are invaluable for new employees who are not familiar with the product or your specific manufacturing processes. – the Powerful … Affordable … Easy … ERP for the Malaysian manufacturing companies. ------------------------------------------------------------------------------------Contact CAREWARE’s Manufacturing Account Manager Today.